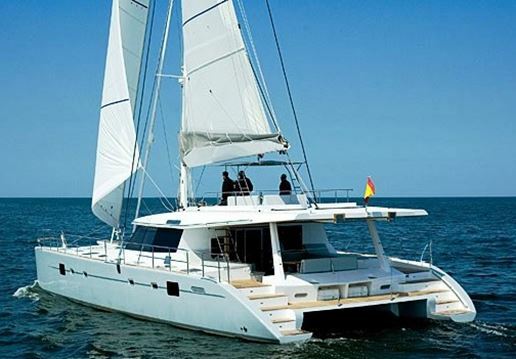 The Sunreef 62 catamaran ZAHORA represents an ideal combination of great sailing performance with style and elegance of design with an abundance of space. 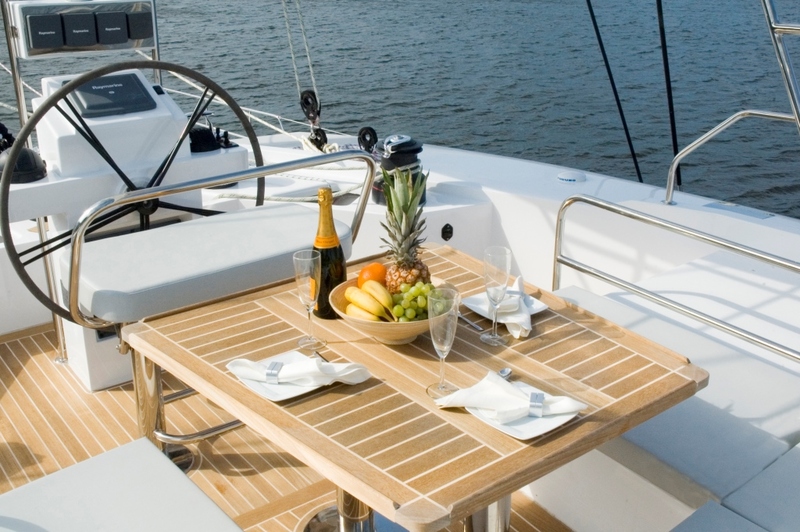 The sailing yacht ZAHORA is highly customized and loaded with top quality options. She is a high class yacht, elegant and refined, and offers the perfect vessel to explore the seas in exceptional luxury and comfort. 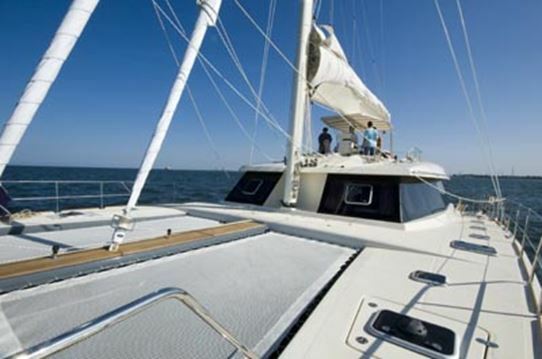 S/Y ZAHORA is based in Singapore and is available for charter on the east coast of Malaysia and Indonesia. She can accommodate up to 8 charter guests. The Sunreef 62 ZAHORA is a fully crewed charter yacht, with the additional benefit that the captain is a windsurfing, sailing and powerboating instructor and the cook coupling up as a specialty dive instructor with over 700 logged dives. The luxury yacht ZAHORA and her unique crew combine to offer the ultimate charter yacht platform to explore the natural beauty which South East Asia has to offer above and below the waterline. Guests are always amazed by the amount of experiences they manage to pack into one trip! 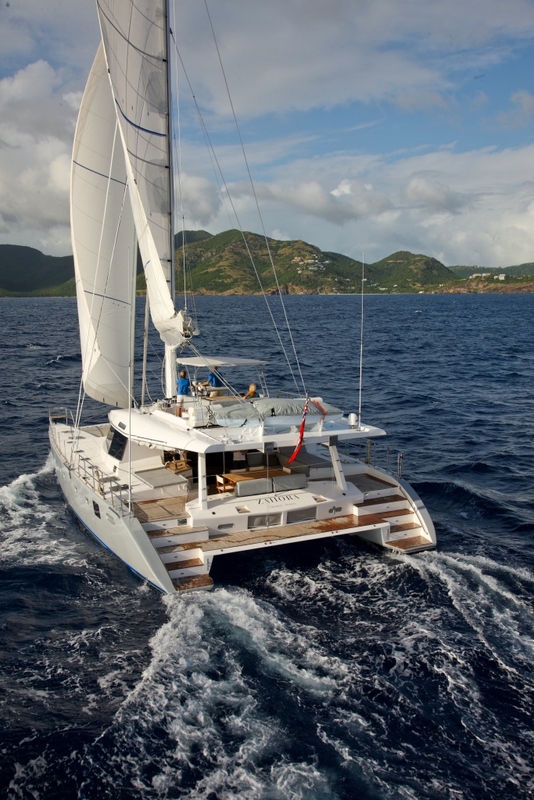 The Sunreef 62 cat ZAHORA is a large catamaran for her length. She has a generous 30 ft beam which is noticeable throughout the yacht and provides enough deck space for four couples to either lounge comfortably together or find private spaces. The two large trampolines on the bow provide the perfect platform to soak up the sun, read a book in the shade of her sails or unwind with a cocktail in the evening. The huge seating and sunbathing area on ZAHORA’s flybridge provides panoramic views allowing guests to soak up Asia's idyllic coastline whilst sipping on one of our signatory cocktails. 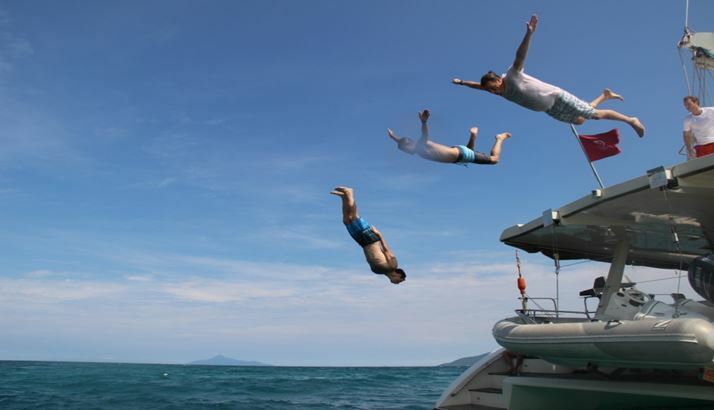 The flybridge also acts as an excellent diving platform for the more adventurous guests! 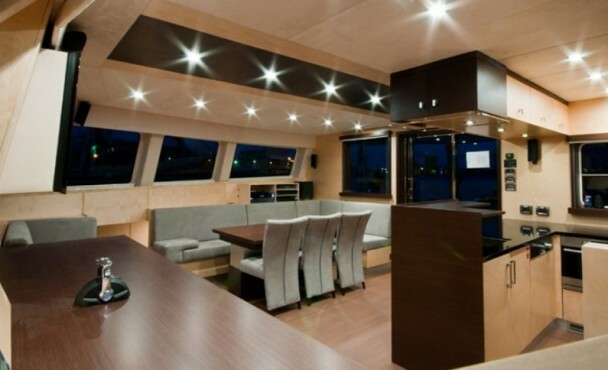 The ZAHORA catamarans large aft deck dining area also provides an excellent space for entertaining. Unwind after a day's sailing and dine in candle light as you watch the sunset rest over the vast blue sea. ZAHORA’s saloon has an abundant amount of space for its size. 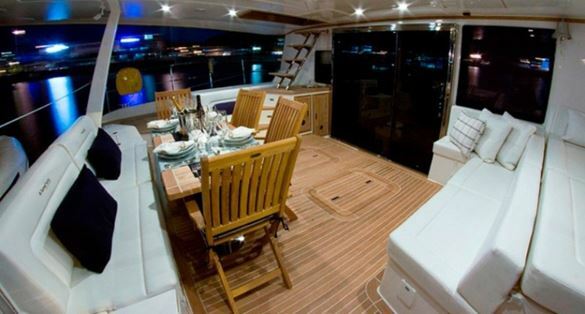 The dining table is more than large enough to sit eight charter guests for dining. During the day, the wrap around tinted windows provide plentiful light and the sliding double French means the aft deck flows into the interior creating a spacious a remarkable feel of space. The convenient and well-stocked galley to port is and is fully equipped for long term expedition type cruises too. 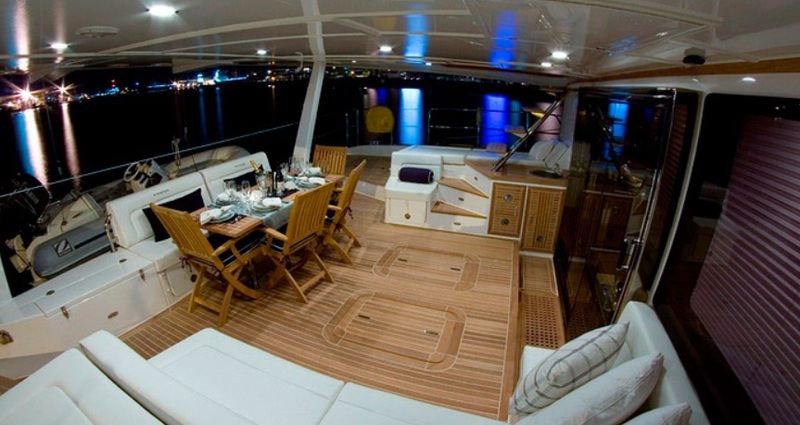 Below Decks you will immediately feel at home on the yacht ZAHORA whose interior is stylishly modern with a simplistic design. There is a very powerful air conditioning system which will make sure the entire interior sufficiently cooled. 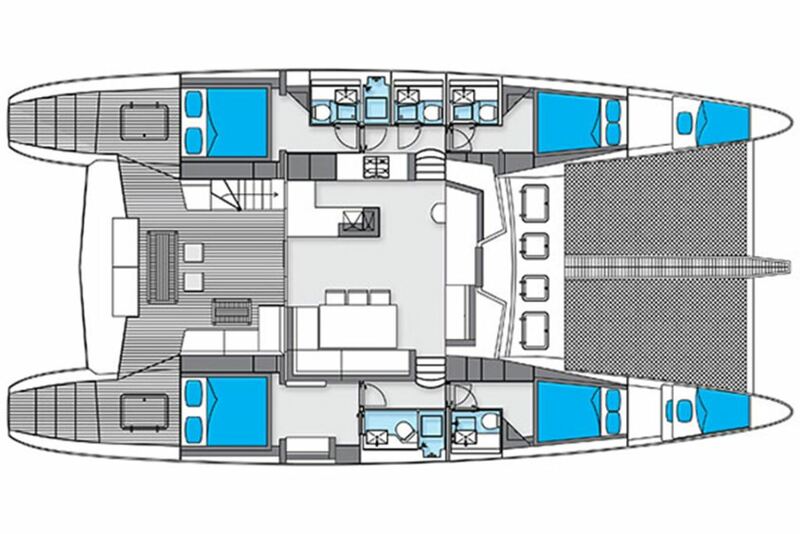 The Sunreef 62 cat ZAHORA features two master cabins plus two queen size cabins all with their own en-suite bathrooms and showers facilities and an abundance of cushions for comfort. 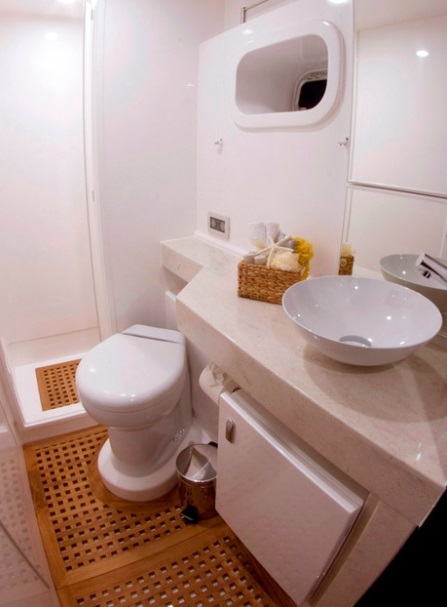 All cabins feature optional air-conditioning, large electric fans, electric toilets, double reading lights, opening hatches and ample stowage for your belongings. The captain of the charter yacht ZAHORA strives to deliver the ultimate sailing holiday and has as such equipped the yacht with an array of added features. 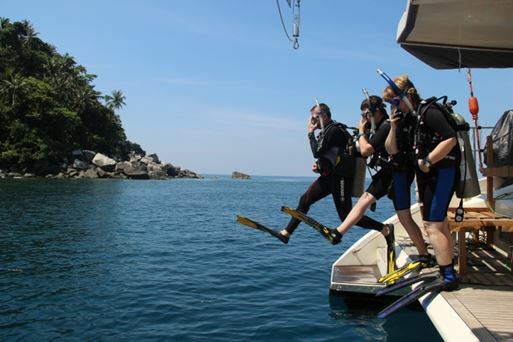 The onboard dive specialty instructor/dive master allows the yacht to offer snorkelling (as standard) and diving (optional extra) onboard the yacht. As the Captain is a passionate windsurfer there is beginner and advanced windsurfing equipment on the yacht. He is also a qualified RYA instructor and is more than happy to show guests the ropes! The impressive 50HP tender brings guests ashore in style and allows access to those tiny islands with shallow reefs. Onboard is also a wakeboard, surf board and banana boat. Coupled with our onboard DSLR camera we help to record all of those memories from your breathtaking charter. 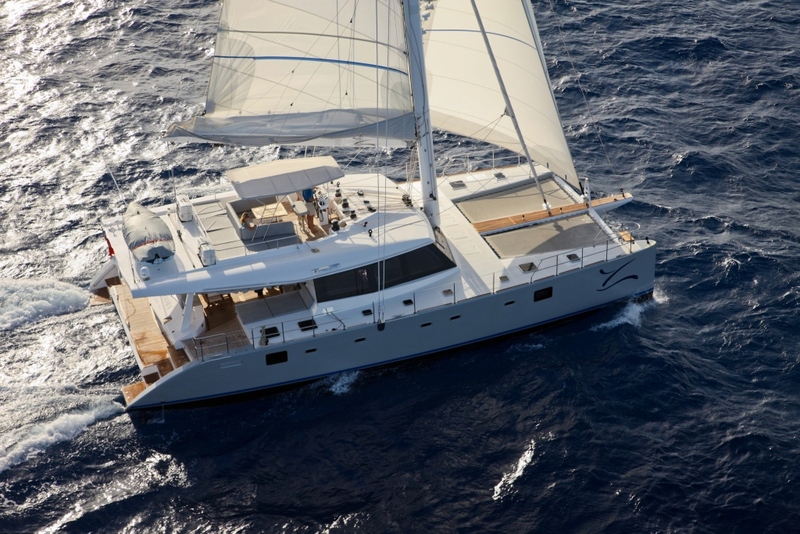 The ZAHORA catamaran can accommodate up to 8 charter guests in 4 double ensuite cabins located below deck. There are two master cabins plus two queen size cabins all with their own en-suite bathrooms and shower facilities and an abundance of cushions for comfort. 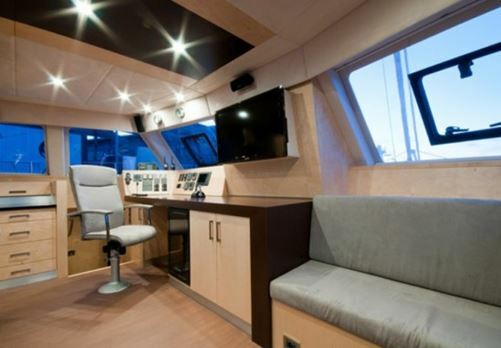 All cabins feature optional air-conditioning, large electric fans, electric toilets, double reading lights, opening hatches and ample stowage for your belongings. The Sunreef 62 ZAHORA catamaran offers plenty of extras for her charter guests including: Standard: 6-person tender with 50hp outboard with wakeboard and banana boat, 4 sets of diving equipment, snorkelling equipment, advanced and beginner windsurfing equipment. two kayaks, two fishing rods, two large six man floats, 3 coolers. Extra: Additional BCDs and Regulators, Chef to accompany our cook/dive instructor. 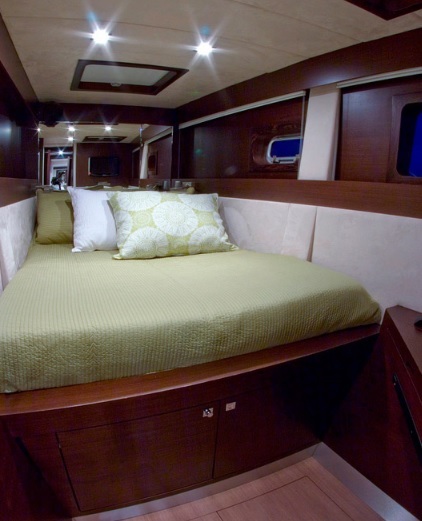 Comfort: All cabins have air-conditioning and large fans, large sunshield on flybridge, large cushioned aft deck and flybridge, eight large sausage cushions for the forward nets, four hammocks and a sunshield on the forward nets. 4 bathrooms with electric household size toilets, 4 showers, 2 x additional deck showers. Water maker, espresso machine, washing machine, dishwasher, oven/microwave, mammoth three burner exterior BBQ, ice maker, wine cellar and large additional deep freeze. Entertainment: Harman/Kardon CD/DVD state of the art interior and exterior surround sound system, huge 40 inch widescreen tv with a vast selection of onboard movies, 2 large 1000w exterior speakers and a Canon 650D DSLR Camera to capture all those memories.